The forecast for last weekend was looking horrendous. Ally and I had arranged a bothy night in Glencoe with some of Ally’s ML course pals, but MWIS (Mountain Weather Information Service) was forecasting heavy rain and winds with gusts up to 80mph in most areas. As usual, the better weather was looking like it would be in the east, so Ally quickly looked out an alternative in the SE Highlands. 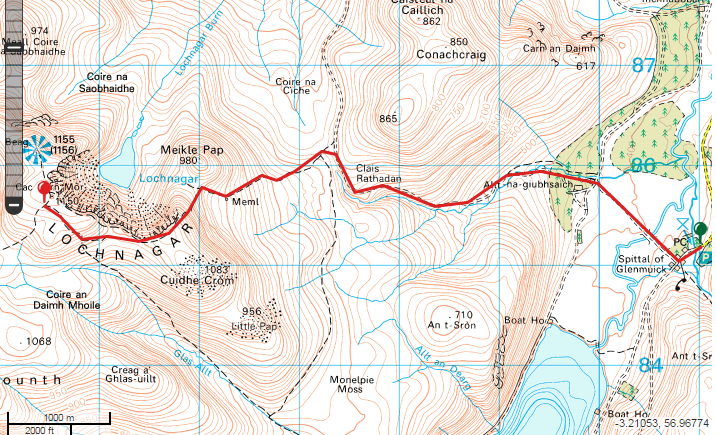 The plan was to walk in from Bridge of Tilt carpark to Allt Scheicheachan bothy, stay overnight, walk up the Munro, Beinn Dearg, the next day (weather permitting) and then walk back. 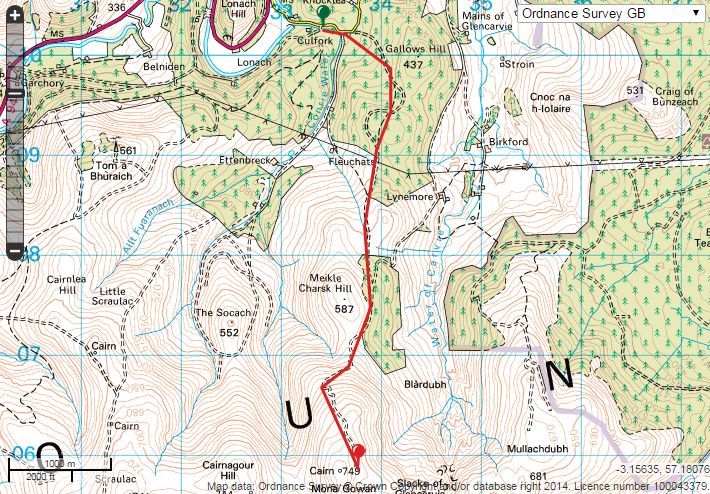 If the weather was really awful we could just walk into the bothy and back out the next day. After all the December blowouts I was ready for some proper hills! Ally and I initially planned to head to Lochnagar on the Sunday after Christmas – I wanted to climb the Corbett Conachcraig, but Ally was keen on Lochnagar instead. A hill I’ve walked a few times but never in winter. Well anyway, a burst water pipe in the house when we got back on the Saturday night put paid to those plans – Happy Christmas! I was definitely ready to de-stress by Monday. Which, incidentally, was the more perfect day – so it worked out very well in that respect, as Sunday had been OK but cloudy in the Cairngorms. It was baltic setting off for Glen Muick first thing from the house. Driving through Torphins it was -5.5C – the coldest we had seen it this year. When we got to Glen Muick however it had risen to -4C. So, fairly chilly – however it was one of those blue sky sunny days with no wind which, of course, helped enormously.